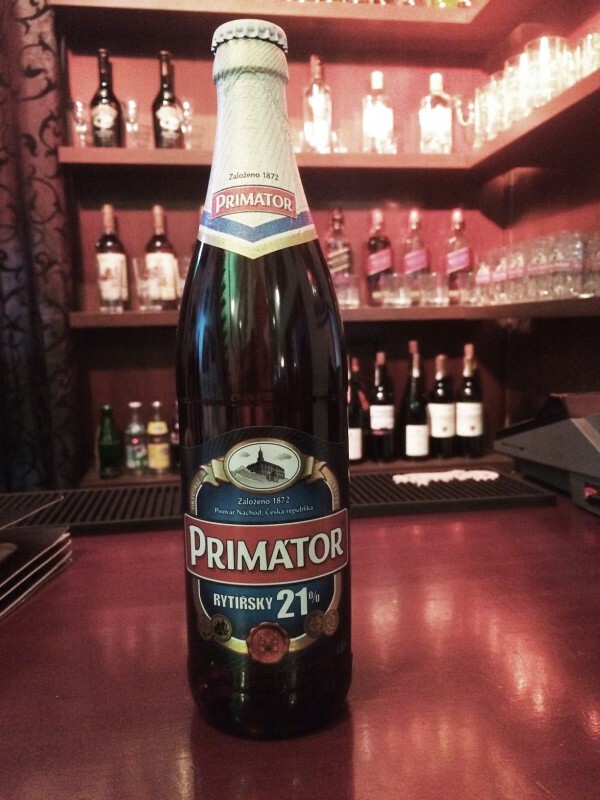 Primator Rytirsky 21% This extraordinary top class medium-fermented beer is made for modern real beer knights. The high concentration of natural energy from malt and alcohol content (9%) guarantee an exceptional taste experience even from drinking a small glass. It is the strongest pale beer in The Czech Republic, characterized by a honey-sweet taste whose uniqueness lies in the use of wheat malt to enrich and soften the taste. The high content of Saaz hops brings a delicate bitterness which aids digestion and is therefore suitable as a digestive. You can smell the aroma from the pleasantly foamy head which covers the golden-ginger brew. Quality is guaranteed by slow three months maturation. Serve in champagne flutes with strongly flavored cheeses and pâtés.